In this tutorial you are going to learn how to see most subscribed youtube channels which can be a great way to see who is producing consistently popular content. 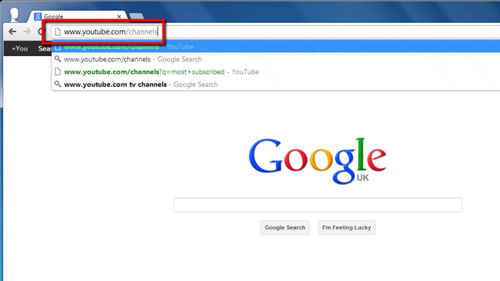 Open your preferred internet browser and navigate to the specific Channels page of YouTube, into the address bar type “www.youtube.com/channels”. 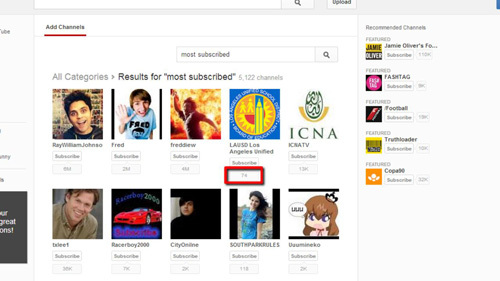 The easiest way to find the most subscribed channels is simply to search for them. In the center of the page there is a search box with the text “Search Channels” inside, click in this and type “Most Subscribed”. This will load another page that will list some of the most subscribed channels. You can see here that the first line have subscribers in the millions. This is not a perfectly ranked list however and you will find that some channels do not have that many subscribers. However this is the easiest way to learn how to see most subscribed youtube channels.